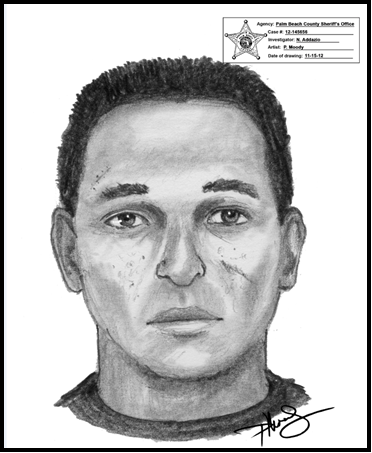 PBSO Detectives need to identify this white male who attempted to abduct a child walking to Wynnebrook Elementary School off Drexel Road, just north of Belvedere Road. The male yelled to the child to “come here” the child did not respond and ran to school where she immediately notified school officials. The incident occurred this morning, November 15, 2012, at approximately 6:35am. Suspect description is a thin white male, approximately 40 years old, short black hair, wearing a black short sleeved shirt, blue jeans, black shoes, a blue watch and a silver ring. Suspect may have a scar on his left cheek and an injury above the right eye. This subject is wanted for QUESTIONING only.